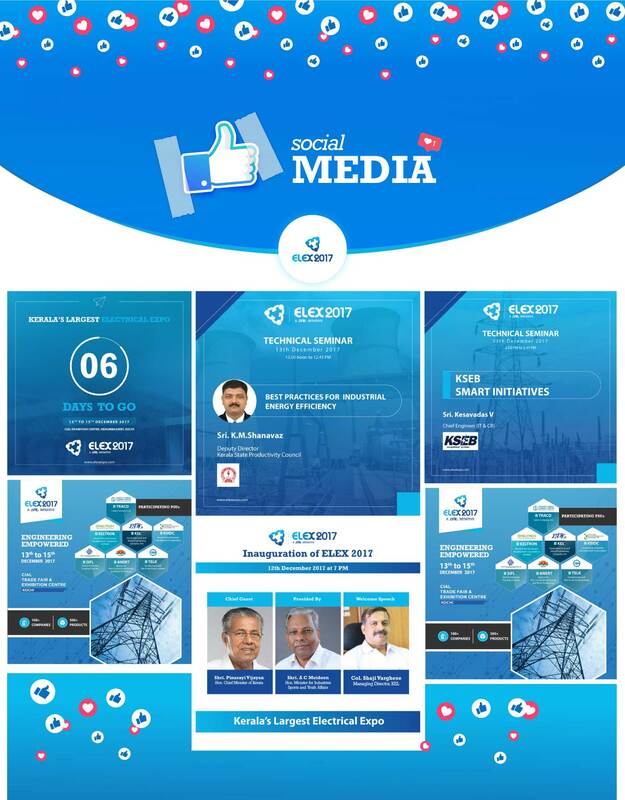 ELEX (Electrical and Allied Engineering Expo) is an initiative by KEL (Kerala Electrical & Allied Engineering Company Ltd.) a Govt. of Kerala organization. ELEX became one of the biggest electrical engineering expos with participants from public and private sector companies across the Nation. This is a flagship event of KEL and will work as a one – stop – shop for all forms of electrical and allied products. Since the project was the first ever exhibition of its nature and scale, we were handed over the task of creating a branding identity, communication strategy and marketing activities across different mediums.